I work a bit almost every day and continue to mix business with pleasure. Of course I can do this to some extent because I am not working at full capacity yet. Bob has been looking for a position as a molecular biologist but there aren’t many jobs out there and he has time to pursue his photography craft (www.bobwilsonphotos.com), Trevor has formed a rock n roll band, and I am still tracking down Morningside High School alumni for a class reunion next year. Trevor has also found an artistic side. 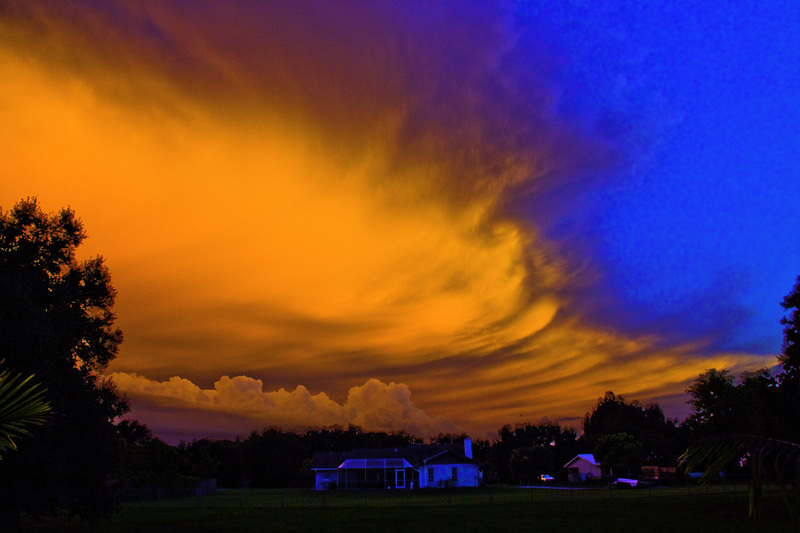 Look at the sunset he toyed with. Each day we find something interesting. 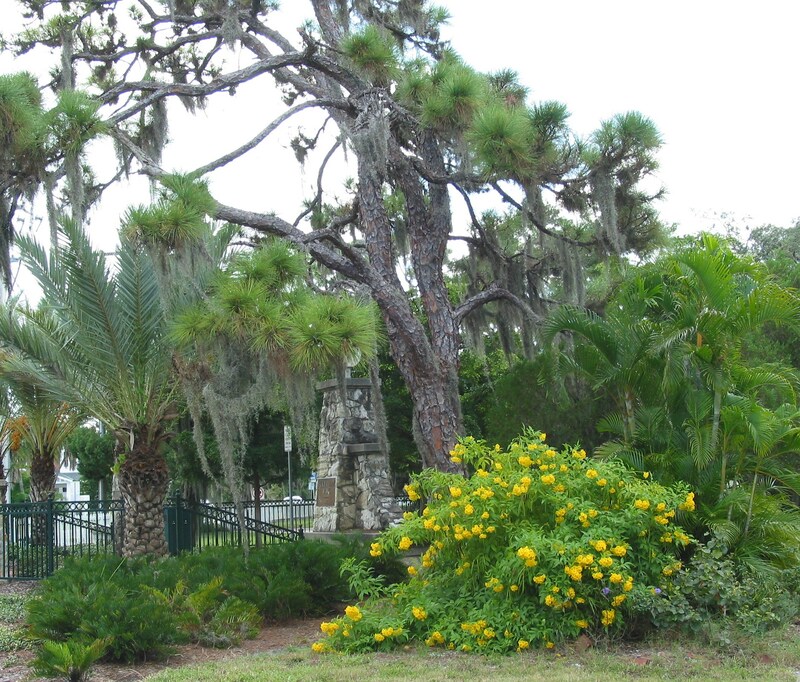 For instance recently we were driving down a road when we came across an animal we never expected to find in Florida. 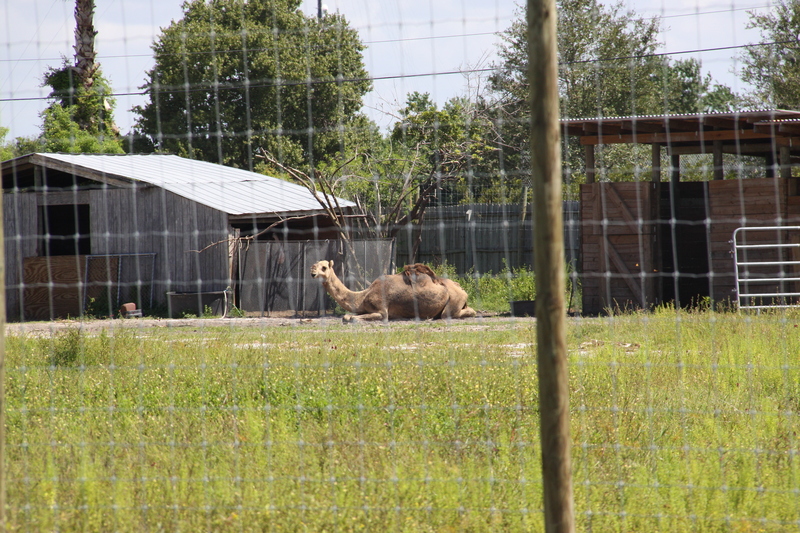 The camel was resting next to a large cat animal preserve. What a great entrance! 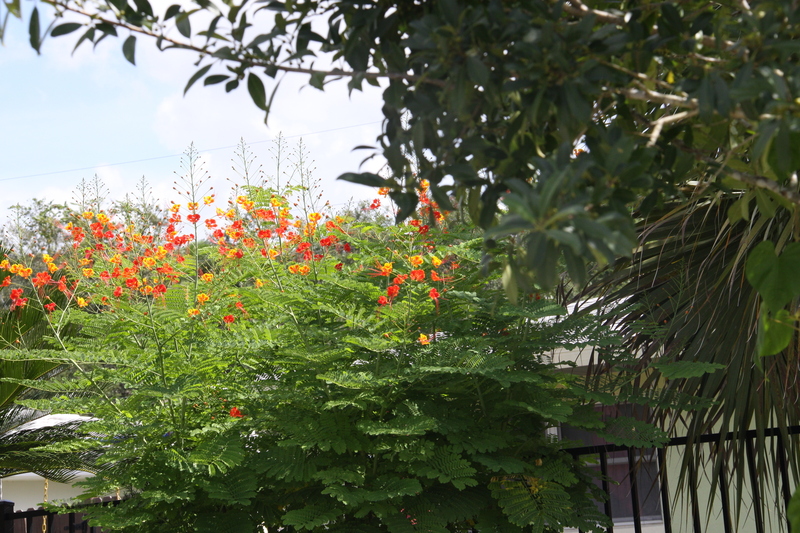 Another day we stopped the car, captivated by flowers in a garden we drove by. 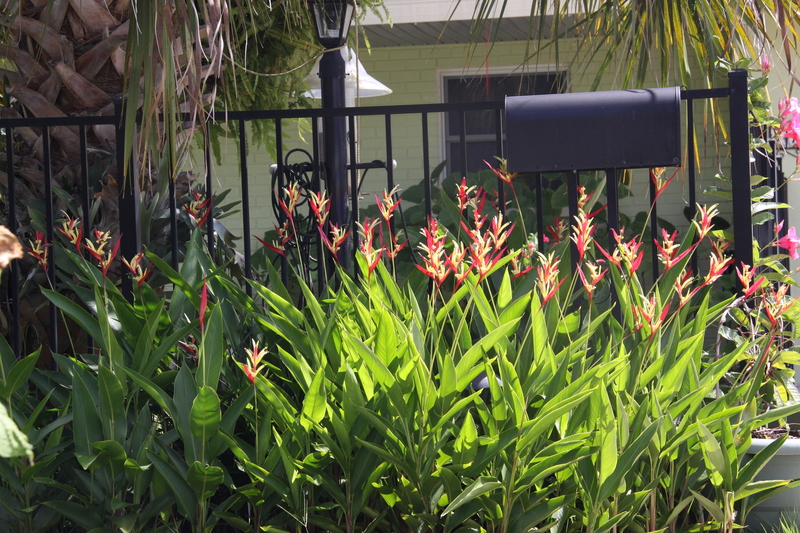 In this same yard of a modest house I fell for the red and yellow flowers that looked like small versions of a Bird of Paradise plant. 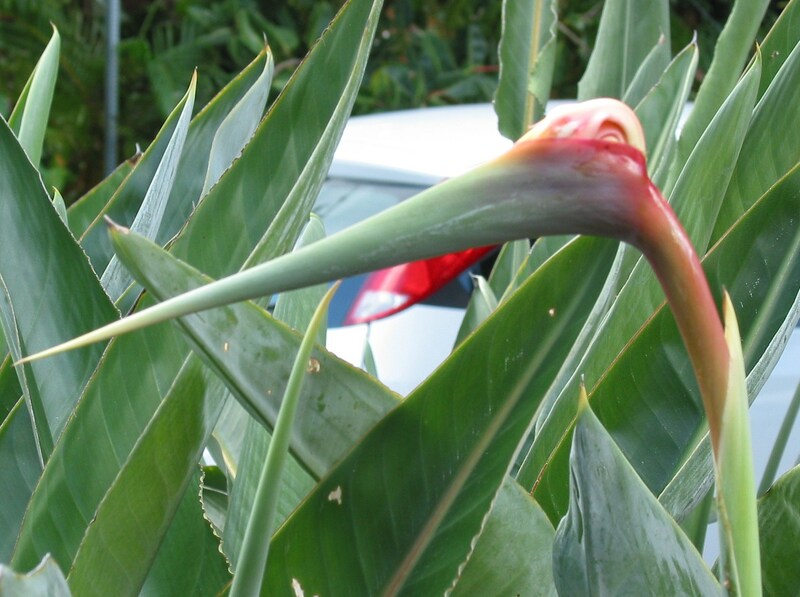 We visited a rare plant expert and she informed me that this is a Princess Di Heliconia. 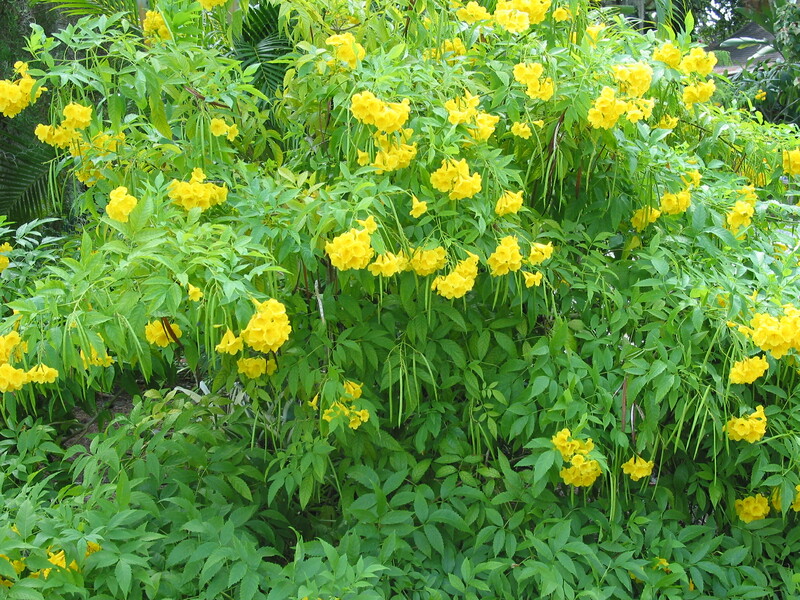 I think I’ve found the plants I want to bookend our garage. 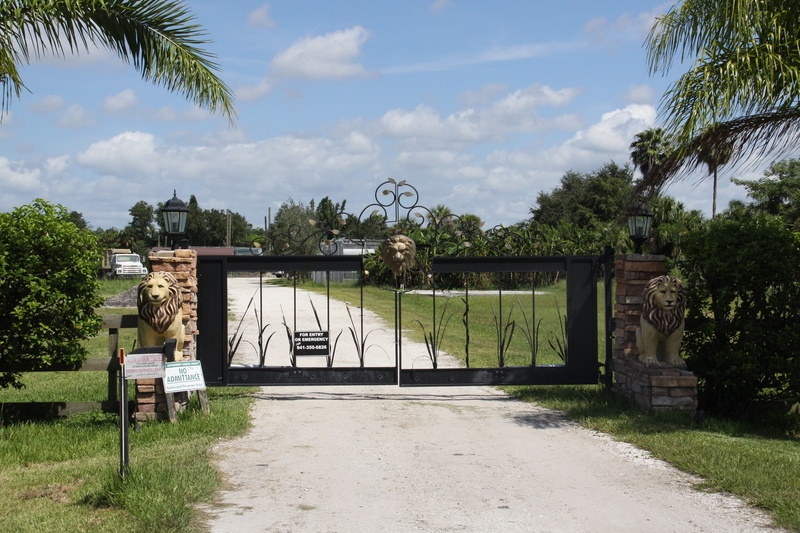 Today I drove up to Manatee County to take pictures of a house. We decided to stop on the way home at a gourmet store I had read about. 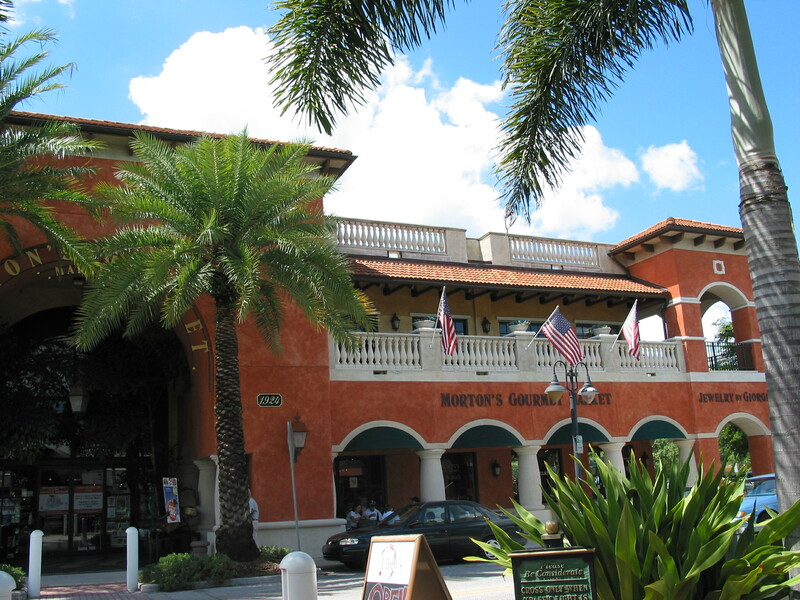 Morton’s Gourmet Market (www.mortonsmarket.com) has served Sarasota for 40 years. 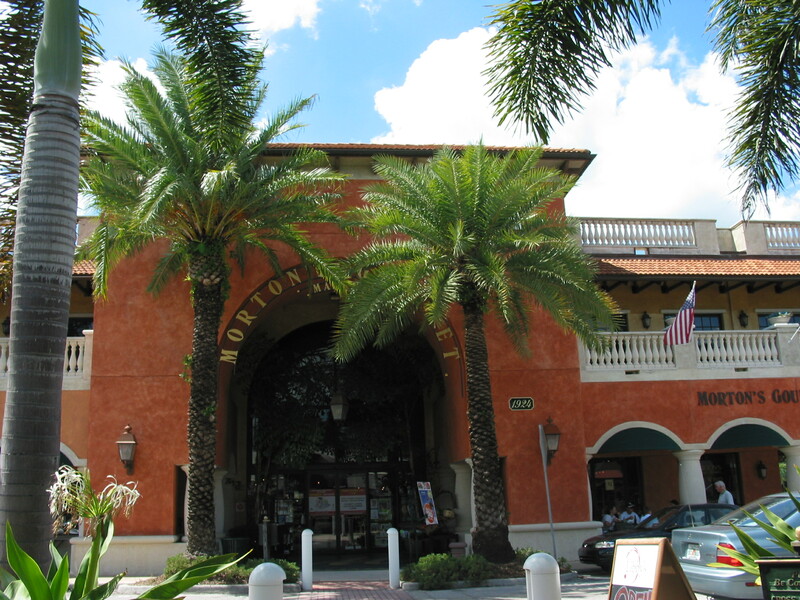 Morton’s is in a beautiful example of Spanish-Mediterranean architecture on a charming little side street filled with shops. The smells emanating from the bakery lured us out of the car and into the building. Using every bit of will power I could muster, as well as the success of having lost 30 lbs, I pulled myself away into the main store only to be assaulted by displays of freshly made foods of all types. Morton’s Market is not cheap – what gourmet food store is? This is the kind of place mere mortals visit for something special. I was looking for orange infused virgin olive oil (and found it), but I could have done all my shopping there. The produce looked fresh and inviting. The meats and seafood appeared fresh. There were fresh flowers, cheeses from throughout the world, and fine wines. Again showing remarkable self-restraint, I purchased only my sought after olive oil and a pack of seaweed crackers and quickly departed. 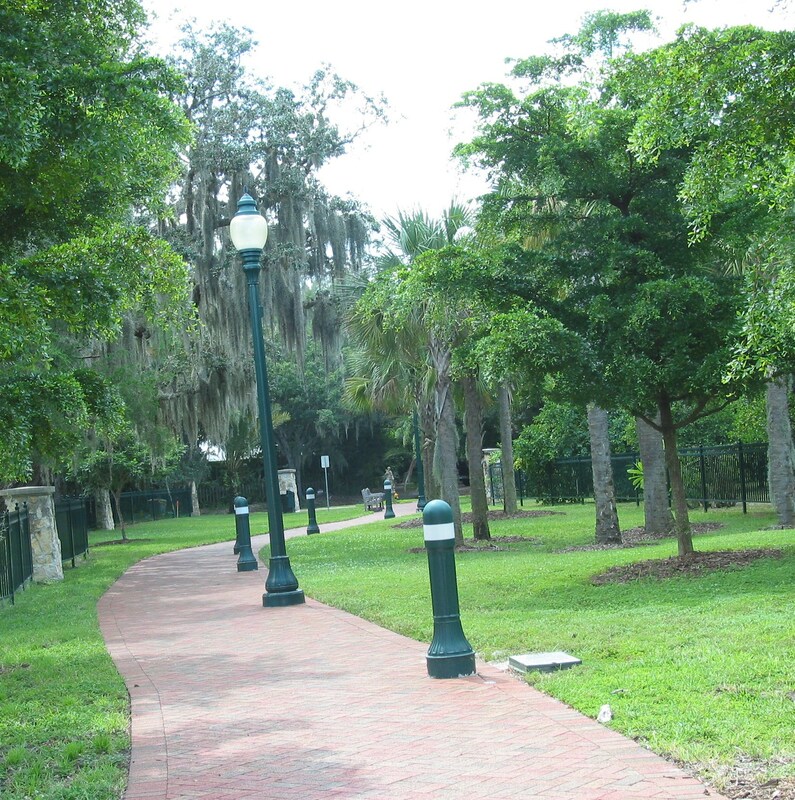 Once outside Bob and I took a stroll across the street to a delightful park that ran through the block. 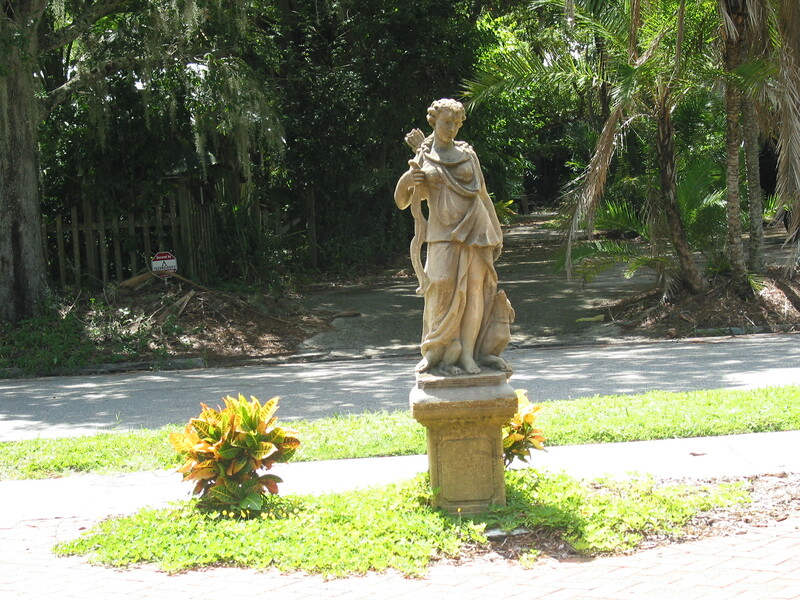 There was a red brick path that ambled beneath the moss strewn trees and terminated with a statue. We continued our drive home past the marina and paused to take pictures of the gigantic 26′ piece of art that captures the joy and exuberance of two strangers – a young sailor and a nurse. The war was over! They survived and could get on with their lives. 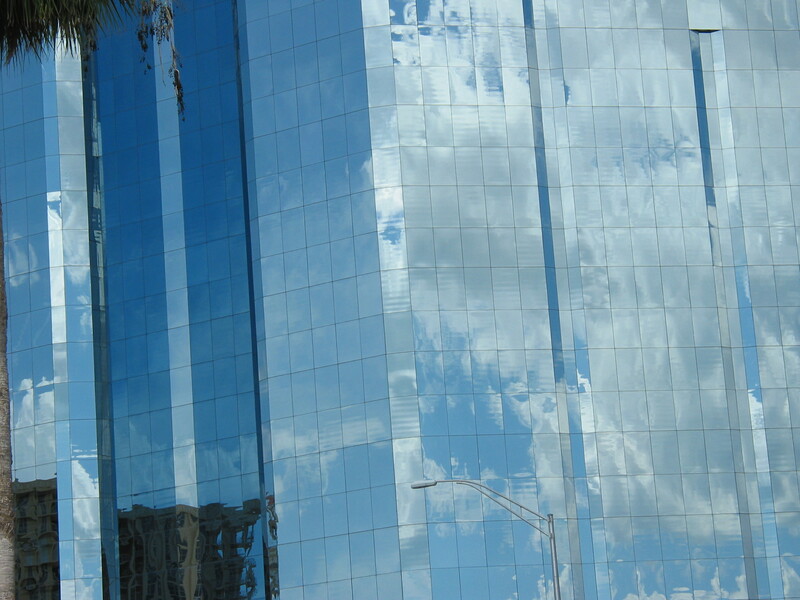 Across the street One Sarasota Tower reflected the blue skies and the puffy clouds. Another day in paradise…..
Now that I’ve shared our hedonistic work-pleasure philosophy, I’m ready to spring more news on you. I felt it was important to have it on a firm footing before proceeding with another step in my dreams of reinventing my life – to become a real estate agent. I have talked this into the making for many years. Each weekend my trip to grocery store including grabbing a stack of the real estate magazine throw aways to be relished as soon as I had some free time. I would discuss various markets with friends, watching prices fluctuate and pondering the impact of a new highway, economic trends, and even the zeitgeist (spirit of the times). 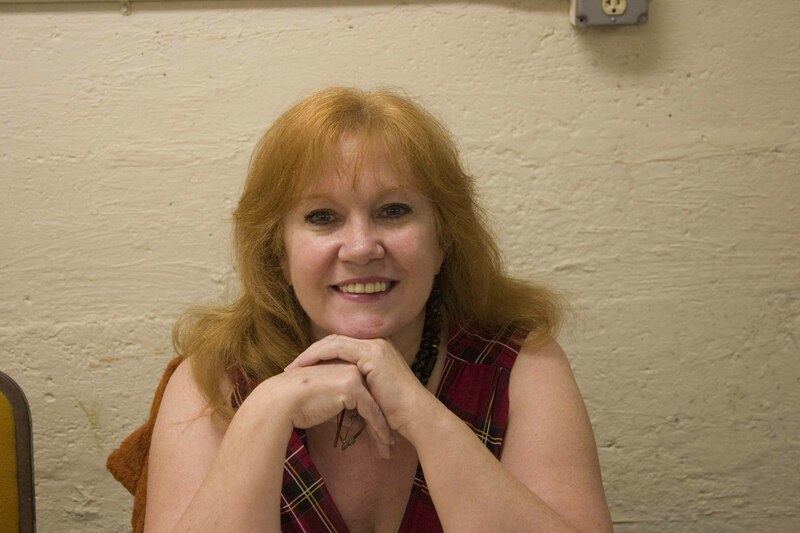 It seemed to me that this would be a perfect career – one that combined my love of home with my enjoyment of people and the pleasure of helping them. I always believed it would be so satisfying to help people find a new home or to help people sell their home and move on in their lives. I felt that my negotiation and interpersonal skills, honed by years of working as a healthcare administrator, would help me to create win-win situations. Certainly our experiences buying and selling houses have been so. We had excellent agents who became our friends. Tuesday I am making this dream a reality. 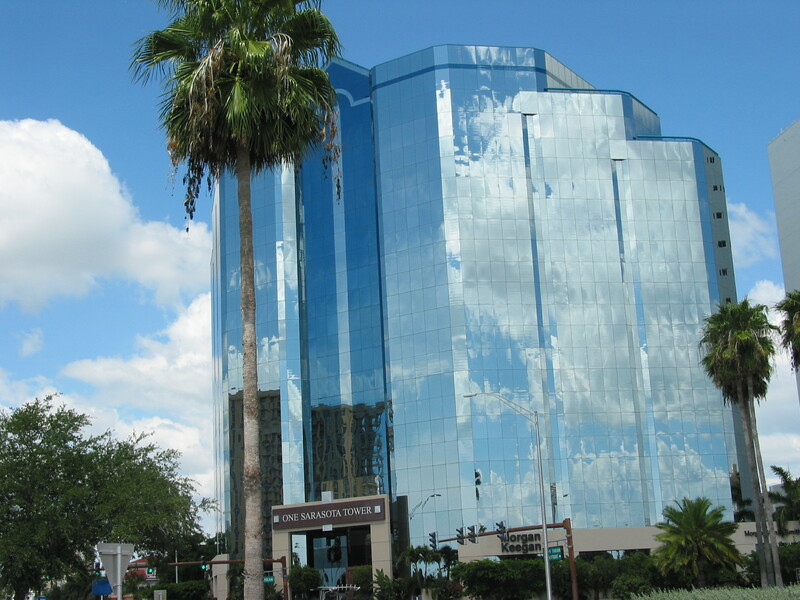 I will finally begin a real estate course (www.edklopfer.com). The intensive course is not long but comes highly recommended. I do not fool myself. I’m well aware that in school we learn the rules however the job is always learned through experience. I’m looking forward to finding the perfect broker and agency to mentor me. Be well and dream great! 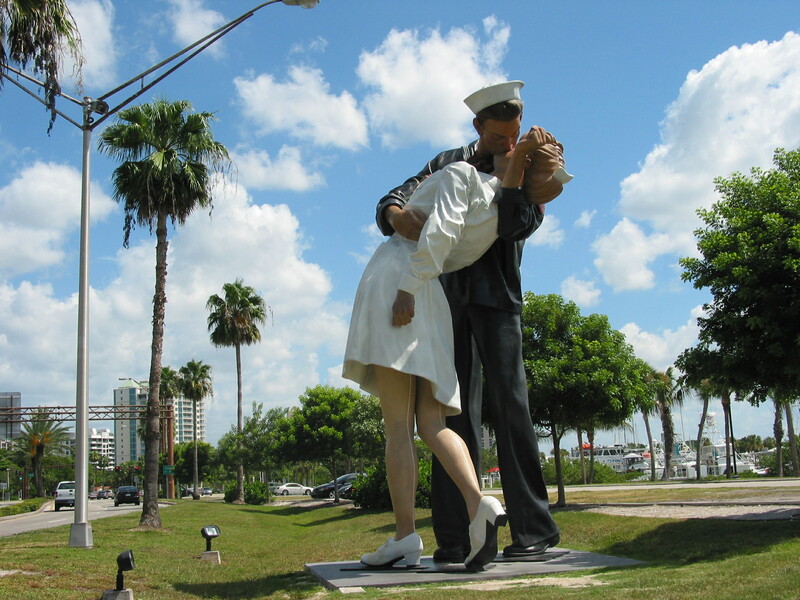 This entry was posted in Florida, Retirement/Reinvention and tagged Bob Wilson photography, gourmet market, Manatee County, Morningside High School, Morton's Gourmet Market, musician, One Sarasota Tower, park, real estate sales, reinvention, sailor embracing nurse statue, Sarasota, Shawn Phillips, Trevor Wilson, Unconditional Surrender. Bookmark the permalink. Every time I read a really good post I usually do some things:1.Share it with the close friends. 2.keep it in all my common social bookmarking sites. 3.Make sure to come back to the blog where I first read the article. After reading this article I’m really considering going ahead and doing all of them!